If you’re transgender, or know someone who is, you may be aware that finding online doctor services catering to transgender patients can be difficult. Registration forms will ask you to choose ‘male’ or ‘female’, and this selection impacts which treatments you’ll have access to. 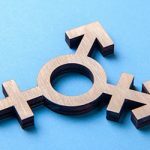 How do patients who identify as a different gender to the one on their birth certificate safely and reliably access treatment to suit any condition – erectile dysfunction, cystitis, contraception and more? With online healthcare now popular and commonplace, why is the transgender patient’s route to treatment still predominantly ‘offline’? Who decides what can be prescribed? Online and in person, doctors make decisions about who to treat with which medicines based on clinical guidelines. It takes research, clinical trials, drug studies and testing to devise, refine and publish these guidelines – and sometimes a while to implement them. From antibiotics to asthma inhalers, any medicine you take will have gone through this process. These guidelines consider dozens of factors: what gender are you, how old are you, do you have a history of heart disease in your family, how long have you had your symptoms, do you regularly take any medicines? These are the questions your GP will ask if you see them in person. They’re also the questions that we ask in our online questionnaires, gathering information to decide whether you’re suitable for a certain treatment. Once you have answered all these questions, a ‘best treatment pathway’ will be recommended. Think of it like a flow diagram or decision tree – there are lots of different answers to some questions, while others are simpler to define. Your response to one question might mean you need to answer some additional ones, or that you can skip over others. Are online doctors different in who they can treat? Online doctors are no different in who they treat but being online the consultation works differently. Most online consultation systems based on questionnaires use decision trees, but they’re digital and coded into a system, like ours. These are still based on clinical guidelines, but a large part of the decision-making process is done digitally. Your questionnaire answers will combine to trigger an ‘outcome’ – a decision. Our doctors review these, and if a clear pathway has been identified, you’ll receive a treatment recommendation that matches the outcome. Why can’t transgender patients access all online treatments? Sometimes an answer might automatically exclude you from a treatment. If you’re taking angina medicine, you won’t be prescribed erectile dysfunction treatments like Sildenafil. If you’re requesting a medicine that’s ‘only licensed for male patients’, and you’re registered as female, unfortunately your request will be denied. Let’s take an example. Finasteride is a hair loss treatment that has only been tested and licensed for use by people assigned male at birth. Meet Pat. Pat is a trans woman – she was assigned male at birth but identifies as female. Pat is in her late 30s and is experiencing thinning hair and a receding hairline. She uses an online provider to request Finasteride, an effective treatment for this pattern of hair loss. The system sees Finasteride as a medicine for ‘male’ patients, so Pat, registered as female, is unable to use the service. While Pat has male sexual organs, she identifies as trans woman. She would be directed to see a GP face-to-face or visit a specialist clinic. Pat isn’t a real patient, but this scenario is real and really happens. Digital medicine should enable access to healthcare in a convenient and discreet way, however you identify which is why we’re updating our service to be more inclusive. What is Online Doctor doing to help transgender patients? We care about the wellbeing of everyone looking to use our service, whether you’re cis, transgender, non-binary or gender fluid. We understand from patient feedback and speaking with representatives from the trans community that being denied access to treatment, told you’re the ‘wrong gender’ or having to answer invasive follow-up questions can cause frustration, anger and deep upset. It’s important for healthcare providers to understand that rates of transgender suicide attempts are high. This is a patient community that needs to be supported, not alienated, so we’re taking steps. 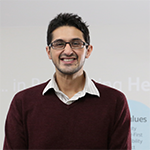 Our software developers are collaborating with our clinical team to update the systems and logic that power our service to make it accessible to everyone. Our clinical team is working with the wider medical community looking at how to make digital medicine accessible to a diverse population. They’re trying to speed up the process of creating new guidelines that include transgender patients. Our Patient Advisory team members are experienced and have all been trained in having sensitive, confidential discussions with patients. They can’t assist with medical queries, but they sit alongside our team of doctors in London and can help to explain why a request has been denied and what you can do next. If you want to change the gender on your Patient Record, you can give us a call. Contact us by phone, message or post here. In this article we don’t discuss hormone therapy, gender reassignment or the transition process. If that’s something you’re looking for, you could consider one of the specialist clinics and practices offering transgender patients support. The London Gender Clinic, the UK’s largest private service. NHS information on gender dysphoria, covering terminology, symptoms and treatment. Stonewall is an organisation committed to empowering LGBT people and creating organisational change for the better.